SciStarter and partners are joining forces to enable science enthusiasts, educators, students and people from all walks of life, to participate in cutting-edge research projects and contribute to scientific discovery. If you're interested in partnering with SciStarter to connect your audience with more than a thousand citizen science opportunities and communities, contact us at info@scistarter.com. Our editorial and promotional partners play critical roles in helping us share information about citizen science. Learn how we can work with you as a partner, project portal, or project in need of participants in this post: How SciStarter Connects People with Citizen Science Projects, Events, and Tools. 2013-current. SciStarter has been a proud research affiliate of Arizona State University's Consortium for Science, Policy, and Outcomes and ASU's Center for Engagement and Training in Science and Society. SciStarter, ASU, the Woodrow Wilson Center for Scholars, the Loka Institute and the Museum of Science are founding partners of the Expert and Citizen Assessment for Science and Technology.2013-current. SciStarter has been a proud research affiliate of Arizona State University's Consortium for Science, Policy, and Outcomes and ASU's Center for Engagement and Training in Science and Society. SciStarter, ASU, the Woodrow Wilson Center for Scholars, the Loka Institute and the Museum of Science are founding partners of the Expert and Citizen Assessment for Science and Technology. "Girl Scouts is thrilled to collaborate with SciStarter on new citizen science programming, which will allow girls around the country to substantively contribute to and impact research that professional scientists are conducting,” said GSUSA CEO Sylvia Acevedo. 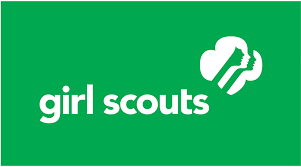 “Connecting Girl Scouts with SciStarter’s enriching platform further enhances our engaging and comprehensive STEM programming. Girls who participate in the ‘Think Like a Citizen Scientist’ series will be fully immersed in the scientific process—some for the first time―as well as gain a broadened understanding that science is for everyone.” Check out the Journey To Think Like a Citizen Scientist program we created with support from the Girl Scouts of the USA. 2016-current. Girls who take part in well-designed and thoughtfully shared media – TV and video games – can have a more impactful citizen science experience. and "collaboration is the key to successful citizen science,” said SciGirls executive producer Richard Hudson. SciGirls is an Emmy-Award winning national PBS program aimed at "tweens" that combines a TV series, multiple websites, gender equitable hands-on activities, and professional development workshops to encourage girls, their families, and educators around STEM studies and career paths. SciGirls integrates our API to offer our Project Finder on their website so milliosn of girls can easily discover and join projects through PBS Kids! 2017-current. In addition to reaching tweens through PBS, SciStarter's dynamic, rich database of projects and events is shared through an API with Public Television's Crowd and Cloud television series, aimed at adults. Each episode takes viewers on a global tour of how citizen science is done, and shows how anyone, anywhere can participate. We now know that Crowd and Cloud viewrs are more likely than other referalls to join and actively engage in projects through SciStarter and, what's more, our powerful analytics (made possible by the National Science Foundation), provide further evidence that they also join an average of 5 projects! 2014-current. Every week, SciStarter's editors select grade-appropriate projects from our Project Finder to serve up on the NSTA's websites. “With this partnership, NSTA equips teachers and their students to contribute to real science research,” says Gerry Wheeler, (now former) Executive Director. “Our members are looking for authentic science to help study and explore the world, but it can be difficult for them to know where to begin. Now we’ll be offering projects vetted, sorted and aggregated by SciStarter to NSTA’s vast network of K-12 educators and science supervisors, as well as to the thousands of online visitors to the NSTA website.” SciStarter also authors a monthly Citizen Science page on Science Scope, a print publications of the NSTA. 2012-current. The Public Library of Science (PLoS) and SciStarter launched a new blog, aptly titled, “CitizenSci" SciStarter manages the blog and posts citizen sceince articles relevant for the PLoS audience: researchers, practitioners, and educators. 2011-current. SciStarter works through the Science Cheerleaders (300 current and former professional cheerleaders pursuing STEM careers) to reach broader audiences including sports fans and youth athletes and cheerleaders. We've activated citizen science projects at the NBA 76ers game, for example, by shooting microbe collection kits from a t-shirt canon in center court, right into the stands! We've engaged thousands of youth cheerleaders in citizen scientists by teaching them how to measure their field's soil moisture levels for a project we are running with NASA. 2016-current. 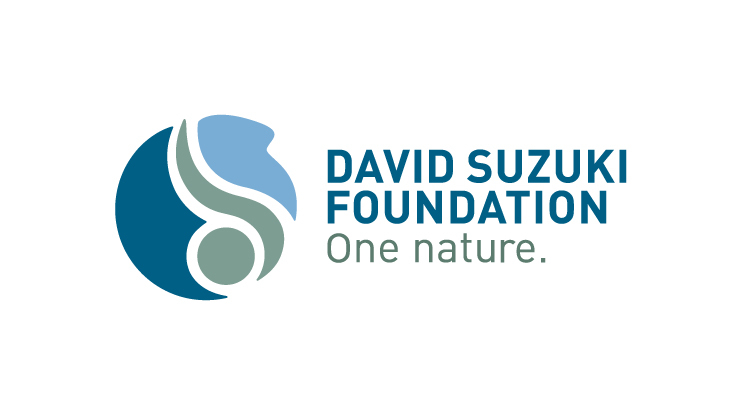 SciStarter works with the David Suzuki Foundation, one of Canada’s most trusted and recognized environmental organizations, to engage Canadians to monitor their environment. 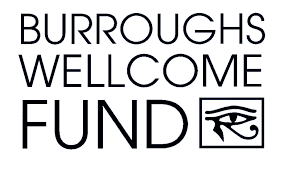 “Our audience is looking for opportunities to participate in science and decision-making. SciStarter’s platform connects keen participants with interesting projects so that everyone benefits,” says Senior Research Scientist Scott Wallace. 2015-current. 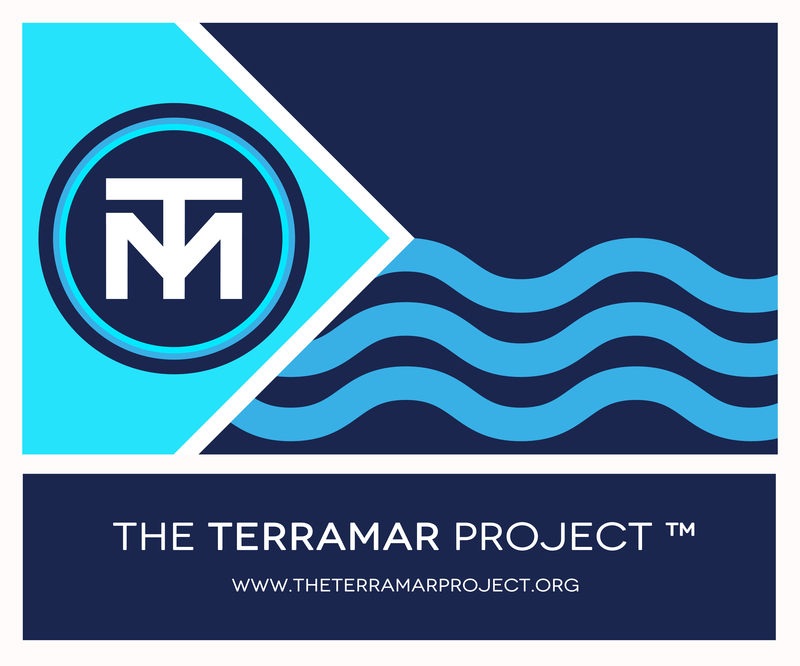 The TerraMar Project is on a mission to build a global community to give a voice to the least explored, most ignored part of our planet; the high seas. If you love the ocean and believe the seas should be sustainably managed, get your passport to TerraMar and join the chorus calling for a standalone ocean Sustainable Development Goal in the United Nations' post-2015 agenda! The TerraMar Project features a custom version of SciStarter's Project Finder on its website! 2017-2019. $249,983 . SciStarter, ASU, NISENet, and Arizona State Library are leading a new project with a grant from IMLS (IMLS LG-95-17-0158-17) to support public libraries as community hubs for citizen science through a toolkit of citizen science resources by Arizona State University, in partnership with Arizona State Library, NISE Net, and SciStarter . (2016-2019) NASA contracts SciStarter to help promote its GLOBE Observer protocols to people across the country. From Girl Scouts events, to festivals, to media promotions, SciStarter recruits, trains and equips people to fully engage in GLOBE protocols, many of which ground-truth NASA satellite data! Award Abstract #1516703 SciStarter 2.0: A Dashboard to Drive Research, Participation, and Community-building in Citizen Science (2016-2017) $50,000. NSF I-Corps L: Leveraging Citizen Science Pathways To Connect Millions Of People With Citizen Science Tools. SciStarter was awarded a NSF iCORPS-L grant (#1644554 ) to foster entrepreneurship that will lead to the commercialization of technology that has been supported previously by NSF-funded research (SciStarter 2.0). NSF EAGER grant (#1645382) to help facilitate the development of a taxonomy to organize technologies used in citizen science projects. (2015-2017) Youth Learning as Citizen Environmental Scientists (YLACES.org) provided support for SciStarter to recruit, train, and equip teams of citizen scientists across the country to measure and report soil moisture measurements at regular intervals for the GLOBE.gov program. Data will be made available to local decision-makers and it will be used to help validate and calibrate NASA’s SMAP satellite. (2010-2018) BWF makes it possible for SciStarter to bring citizen science projects to life at live events including the USA Science & Engineering Festival, the Philadelphia Science Festival, the Bay Area Science Festival and the Cambridge Science Festival. (2015-2016) The Knight Foundation provided a Knight Prototype Fund grant to Scistarter to help test an early concept and bring it closer to fruition. SciStarter's project aimed to connect data journalists and researchers with citizen scientists who are interested in helping them collect data about specific issues (i.e. water quality in a particular neighborhood). This early support helped us rapidly prototype a tool we then refined and integrated into SciStarter 2.0. 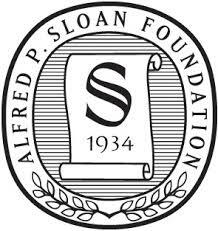 (2015) The Simons Foundation grant made it possible for us to create ‘plug-and-play’ versions of our database and project finder to make it even more readily available to everyone. Now everyone who adds a project to the SciStarter database benefits from unlimited distribution outlets (see "Collaborators" above), reaching millions of potential participants. (2014) With support from the Alfred P. Sloan Foundation, Azavea, a geospatial software engineering firm, and SciStarter, collaborated to evaluate a representative set of online citizen science software tools. The evaluation effort analyzed existing online citizen science tools and platforms for their technology, extensibility, visualization, and engagement features in order to better understand their ability to support a diverse and growing catalog of citizen science projects. The results of this research can be found on the SciStarter Research page. Thanks to additional support from the Sloan Foundation, we were also able to host a workshop in partnership with Drexel University’s ExCITe Center, to build an early taxonomy for citizen science project fields. (2013-2015) The Eisen Lab at the University of California, Davis, with support from the Sloan Foundation, made it possible for SciStarter and the Science Cheerleader co-create and activate a national citizen science research study to compare microbes on Earth and in space...on the International Space Station! We enlisted the help of thousands of citizen scientists, generated substantial media attention, helped with payload integrations and even served as coPIs on this awesome project. Check out SpaceMicrobes.org to learn more!